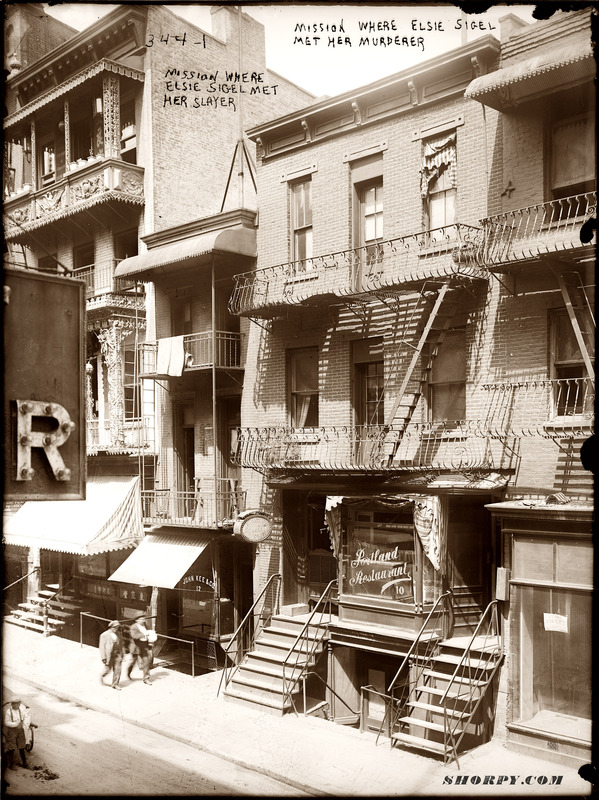 Alfred Gengreau, 20 Beaudry St., Joseph Miner, 15 Water St. Both work in Mr. Baker's room. Indian Orchard Mill. Location: Indian Orchard, Massachusetts. September 1911. 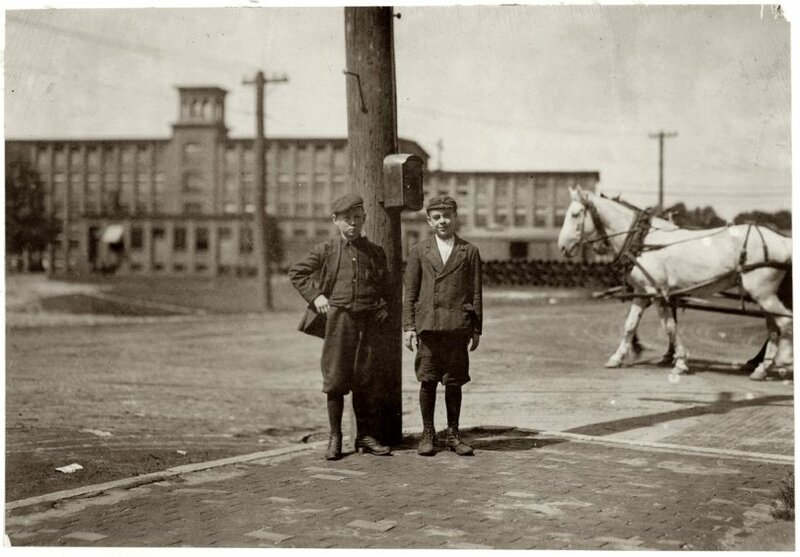 Photo by Lewis Wickes Hine. View full size. Submitted by Dave on Sat, 03/24/2007 - 1:14pm. Of course the drays in these old pictures are hauling freight, not people. Here we see a street cleaner (bottom left corner) getting rid of the "emissions." Submitted by Anonymous Tipster on Sat, 03/24/2007 - 1:06pm. They still have those in Beijing China, though they are banned from the central core, they still get sneaked in at night. Believe me, horses are messy and inefficient. Projections in the late 1890s were that the manure (which not only piled up everywhere but dried and became airborne, spreading disease) would become such a problem in 20 years that the cities would become impassible. Bicycles, now, that's a much better solution. Submitted by Anonymous Tipster on Thu, 03/08/2007 - 11:53pm. It is just fascinating to see horses in the street instead of cars. I'd rather hear clopping horses than hear horns and watch the depressing sight of cars bumper to bumper on a freeway.